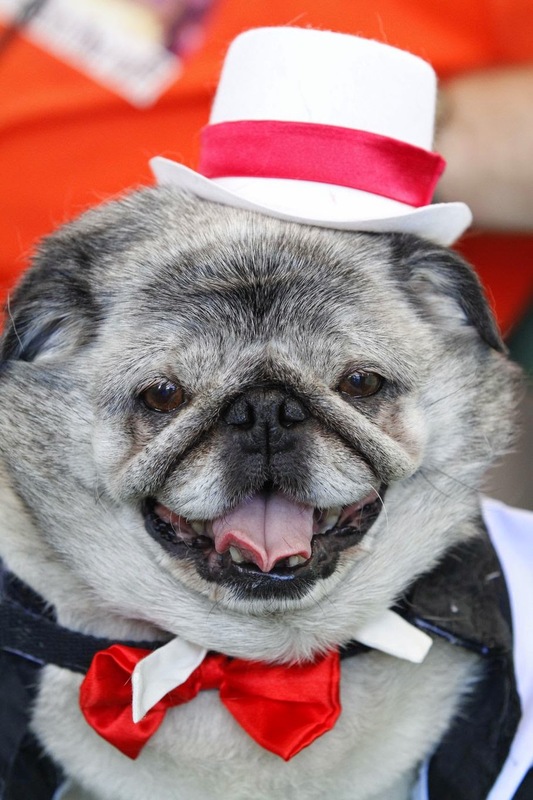 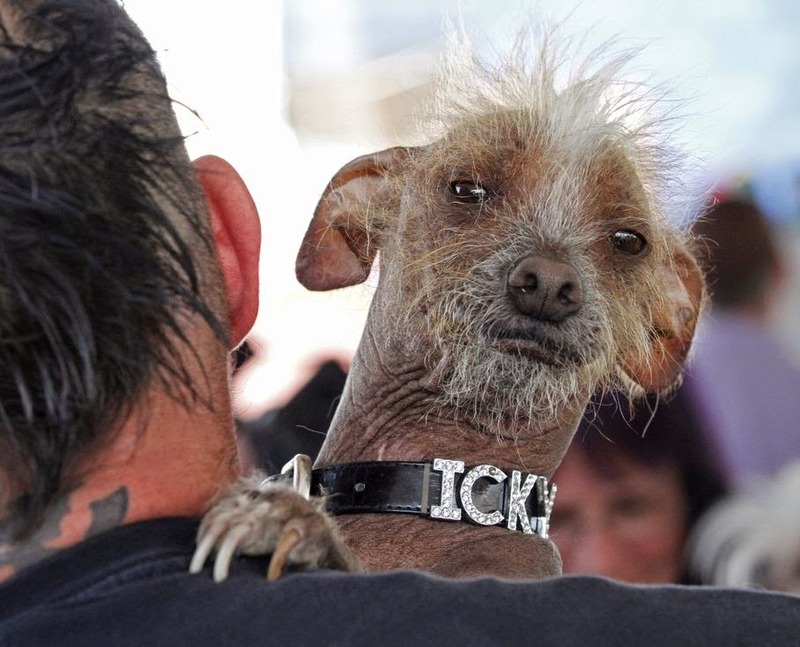 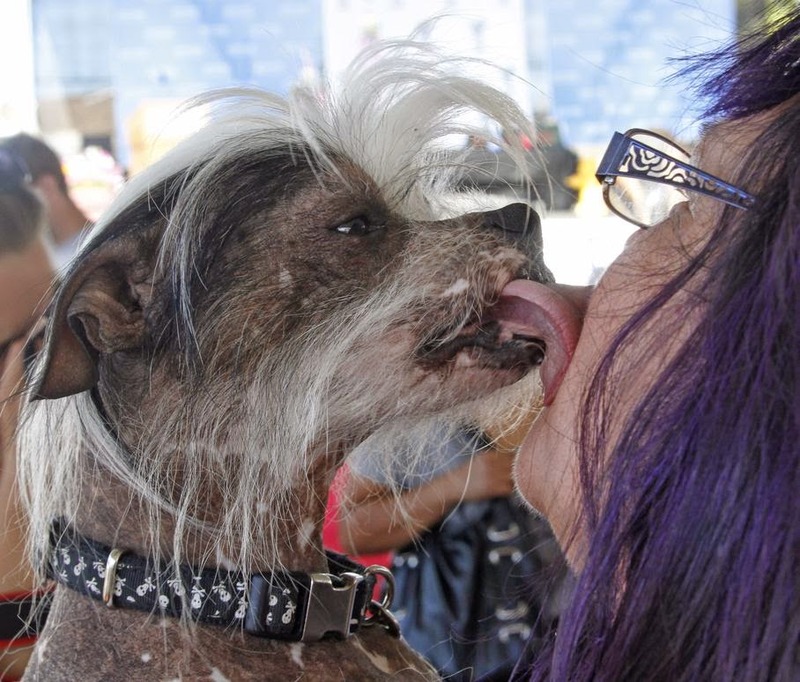 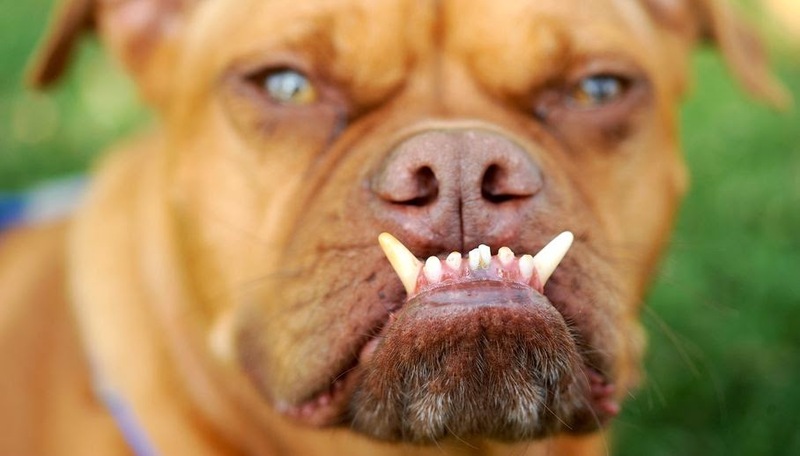 It's that time of year again when dogs with unusually large heads, hairless bodies and other oddities compete to be the World's Ugliest Dog. 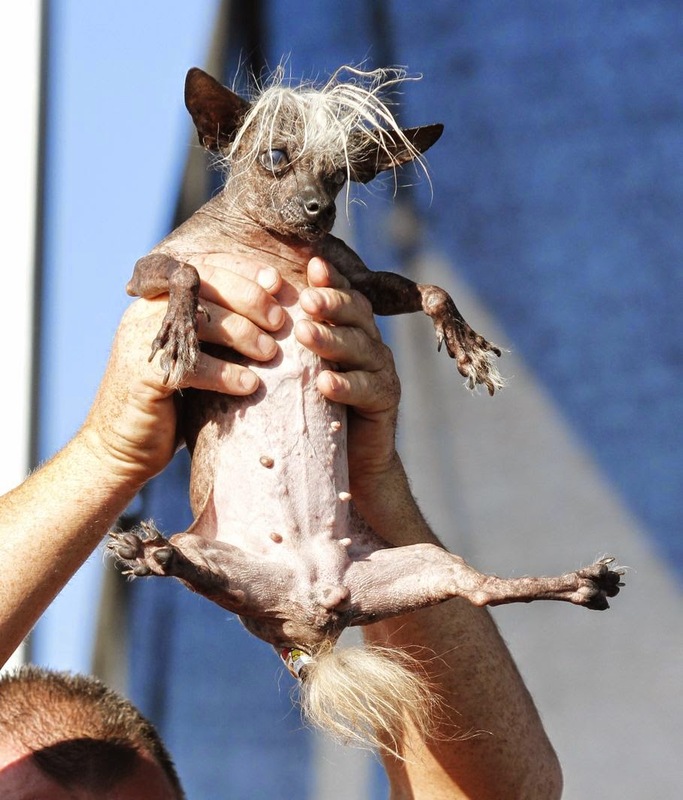 Although Peanut is healthy now, his owner, Holly Chandler of Greenville, North Carolina, says he was seriously burned as a puppy, resulting in bald patches all over his body. 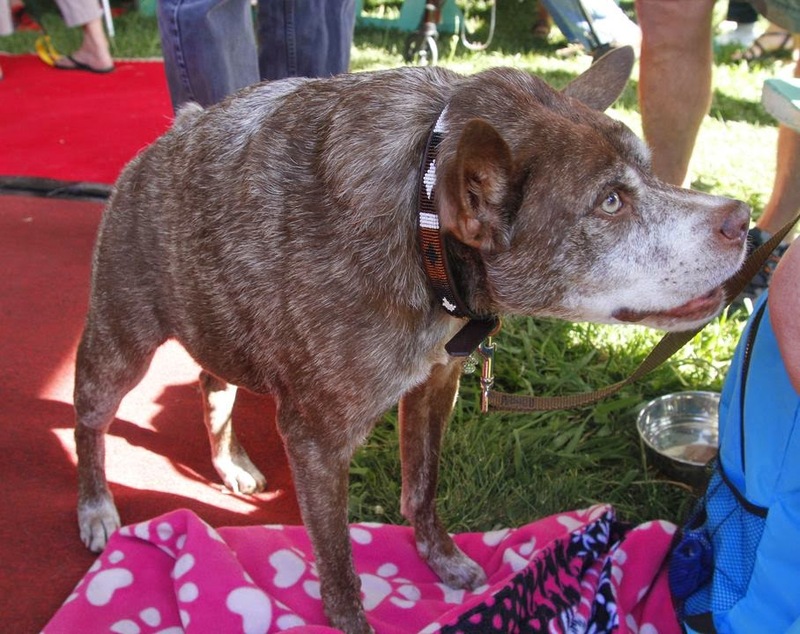 Chandler hopes Peanut's victory will help raise awareness about animal abuse. 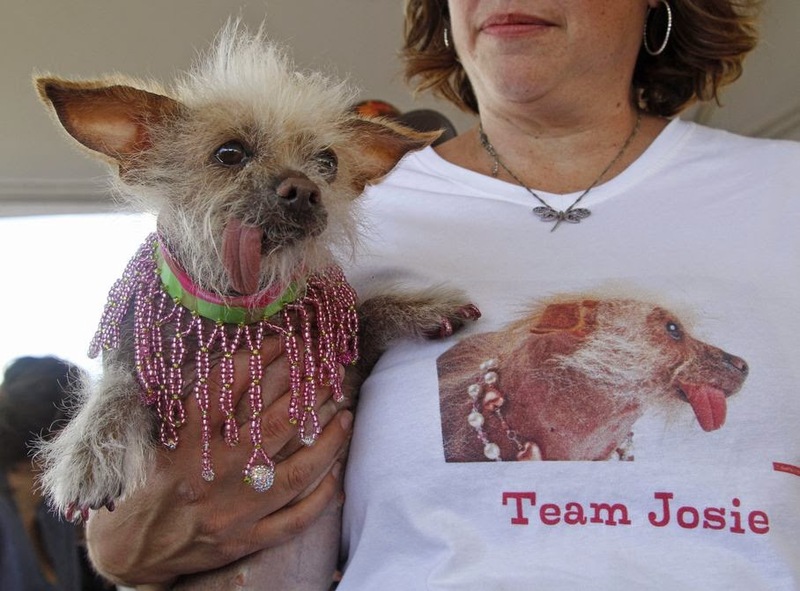 "We're trying to use him as a poster child for what can happen to animals who are abused," she said. 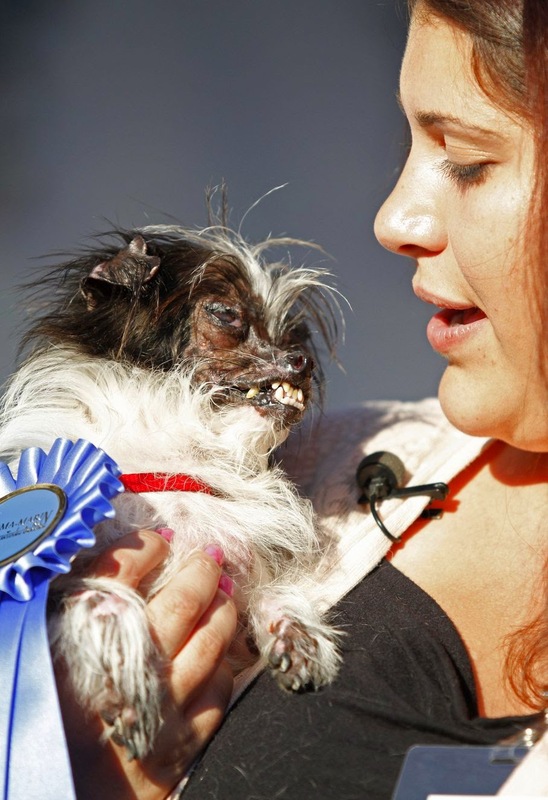 She plans to use the $1,500 prize to pay for other animals' veterinary bills. 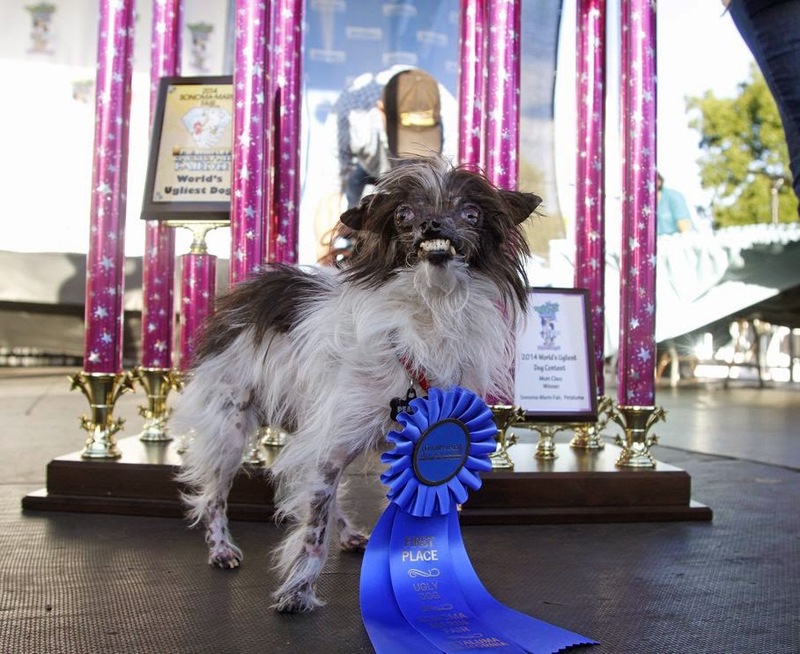 The contest, held at the Sonoma-Marin Fairgrounds in Petaluma, California, is in its 26th year.